The bibliographic survey, Black Slavery In The Americas, is a two-volume collection of writings that detail slavery and its effects from 1860 through 1980. 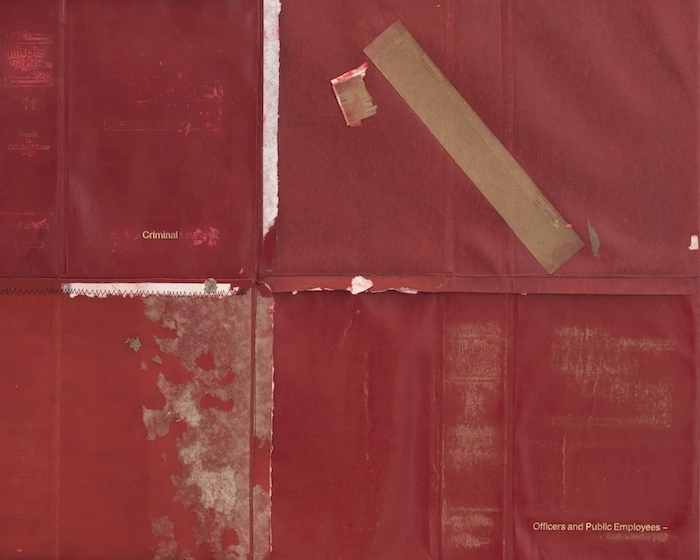 The artist Samuel Levi Jones, took the collection along with nearly a thousand other law books and encyclopedias detailing black life, and cut off the books’ casings to create a series of abstract books on canvas. The works, on view in a solo exhibition titled Burning all illusion at Galerie Lelong, is the artist’s way of questioning the collective understanding of black identity, American history, injustice, and the systems of power and knowledge the institutional texts represent. 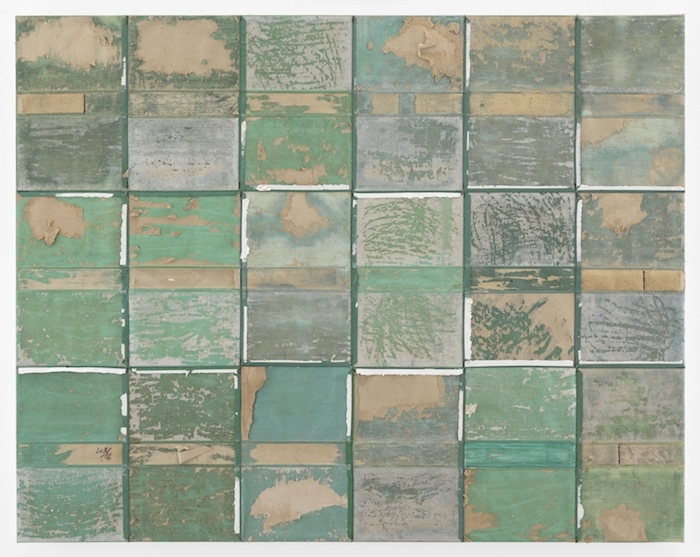 Selective Proof of Facts, a grid-like green and brown painting of deconstructed law books and African American reference books, speaks to the history of violence experienced by the African American community and Jones’ family. It’s a weathered work. The titles of the tomes have been removed as a gesture that captures the artist’s “response to a system that remains extremely unjust.” The artist strips the titles off of Blue Skies Matter and Burning all illusion too. The painting, Burning all illusion featured titles such as Bibliography of Black Music, Science Year from 1981, Yearbook of Higher Education, and The Book of Knowledge. 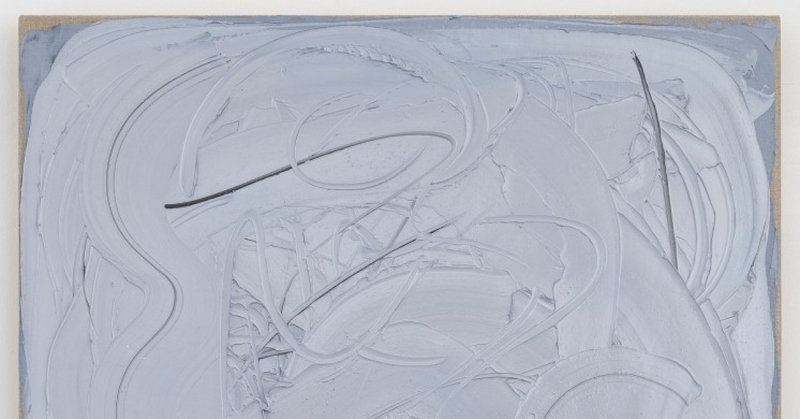 To create the book paintings Jones, who draws on abstract expression and modernism in constructing his grid-like paintings, takes an exacto knife and cuts off the front and back covers of the books. 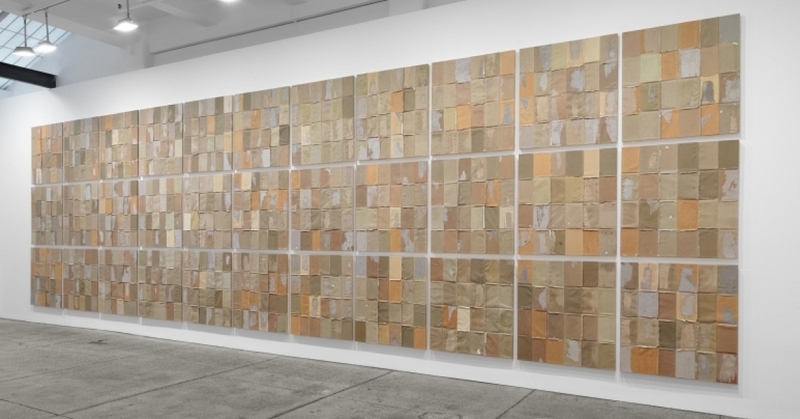 He then soaks the covers in water to soften them and removes the top layer of the covers— what the artist refers to as “skin”—and arranges the skins on canvas before applying paint. The gesture itself is a challenge to the relationship between knowledge and the truth, what the French philosopher Michel Foucault called knowledge-power. The philosopher argued that organized, institutionalized knowledge is power because it is taken as undisputed truth. “We are subjugated to the production of truth through power and we cannot exercise power except through the production of truth,” wrote the philosopher. Jones’ paintings allude to the idea that the truth read in the books subjugates other kinds of vital, unbound knowledge. 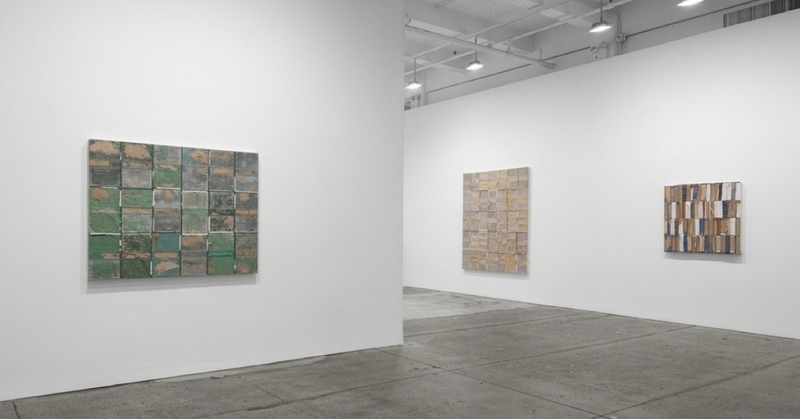 Burning all illusion continues through January 28 at Galerie Lelong.